Valentine’s Day is just around the corner. Kids are beginning to think about what Valentines they’ll pass out to their friends. They may be begging for conversation hearts at the grocery store. And, they might be thinking about the people they love. 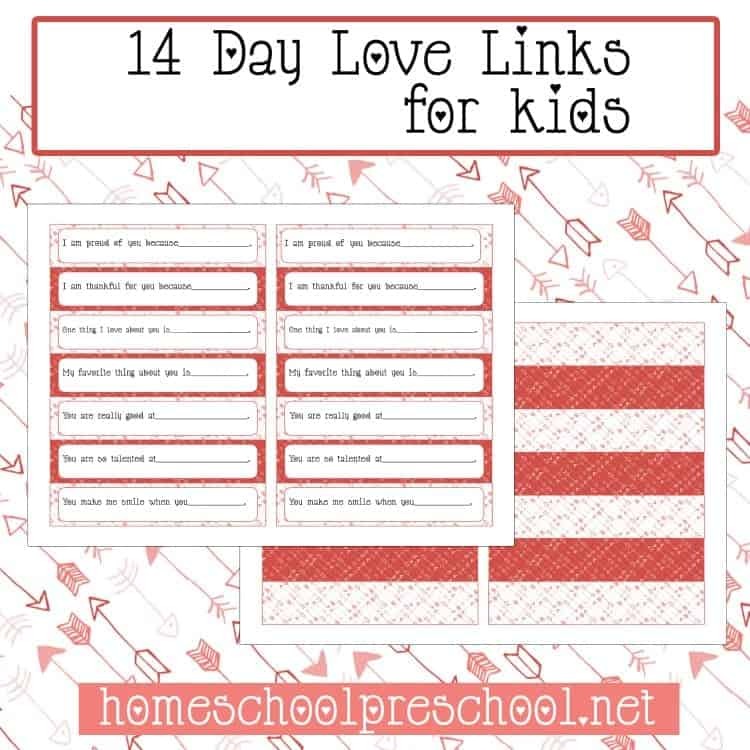 Help them count down to that special day with this printable Valentine countdown chain. This isn’t any old countdown chain, though. 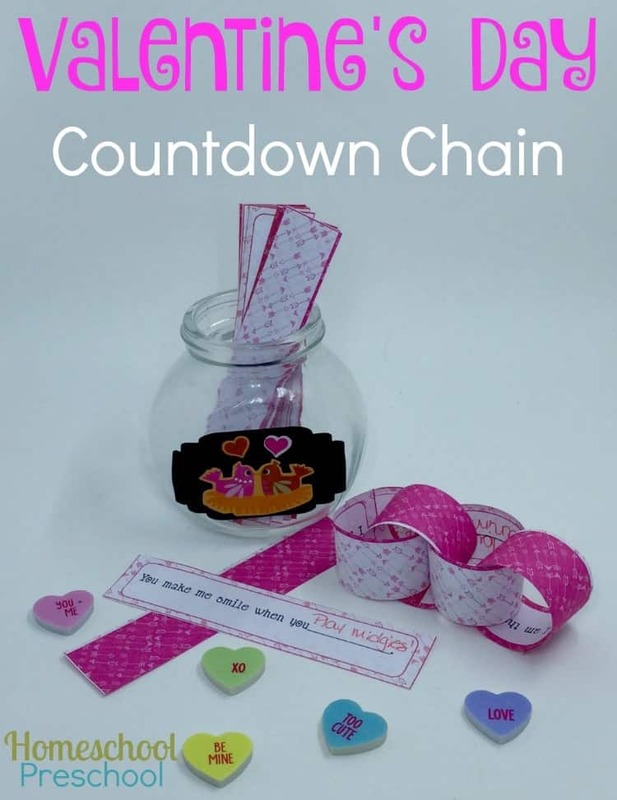 This is a special countdown chain which allows you and/or your children to really express what it is that they love about you/them. I’m choosing to use this chain to tell my daughter what I love about her. If she wants, I’ll let her create a chain for someone she loves, as well. Anyhow, I printed the chain on cardstock to it would be a little sturdier. I just ran it through the printer on both sides so that the links would be colorful on both sides of each link. Each link contains a fill-in-the-blank statement such as “I am proud of you because…” and “You make me smile when you…” I’ve filled in all of the blanks and assembled the chain. On February 1, I’ll hang the chain near her homeschool desk, and she’ll pull off a link each day. On Valentine’s Day, when I’ll actually be in DC with her older brother, she’ll wake up to find her Valentine gift on her desk with the last link of the chain. I hope it brightens her day as much as it did mine when I sat down to write out all the ways I love her! To download your free printable pack, you must sign up to receive my emails. Click the button below, and enter your email address. Then, check your email. Enjoy!